Looking into the regions in which the world-famous Silk Road stretches itself, you’ll find a fairy significant region, Xinjiang. So, you want a history-rich destination? Just make your way towards Xinjiang. There every stone that you find out from scattered huge city ruins can whisper harsh thousands of years it has been through. Feeling like a full experience of novel exodus handicrafts or the sweetest fruits? 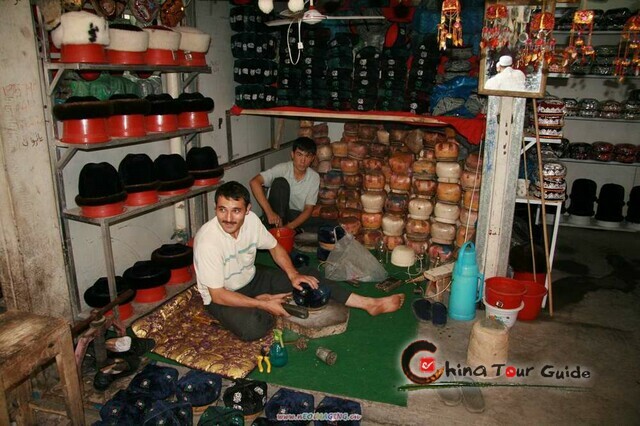 In Xinjiang millions of interesting Bazaars will greet you with all you never see. Even if you’re planning to escape bustle and rustle of metropolis, go to Xinjiang and breathe fresh air in vast arms of plateau lake district, desert and rangeland! 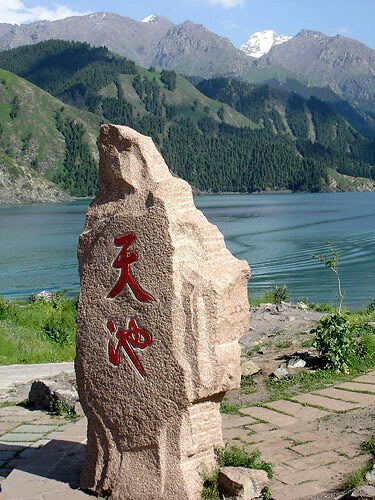 Marvelous landscape and naturally shaped wonders: Heavenly Lake(in Urumqi), Karakul Lake(in Kashgar), Rangeland at southern part of Mountain Tianshan(in Urumqi), Grapes Valley(in Turpan). These glittering lakes and oasis add adorable tones to the desert dotted Xinjiang landscape. 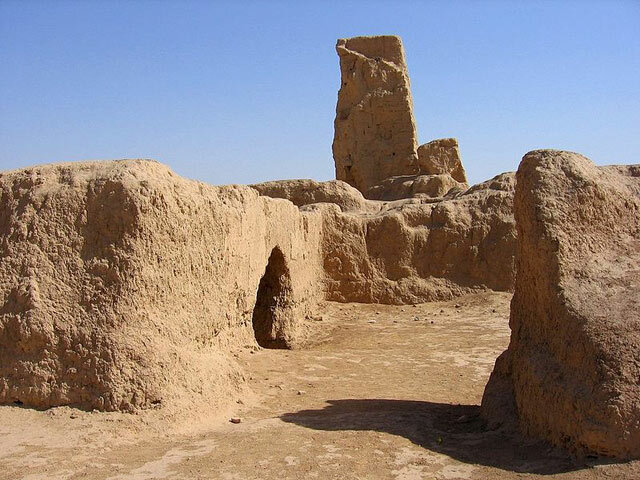 Spectacular historical ruins: Gaochang Ancient Ruins(in Turpan), Jiaohe Ancient Ruins(in Turpan). If your list of must-visit spots along Silk Road should ever leave these two thousand-year-old ruins out, you can’t boast a complete tour of Xinjiang to anyone. 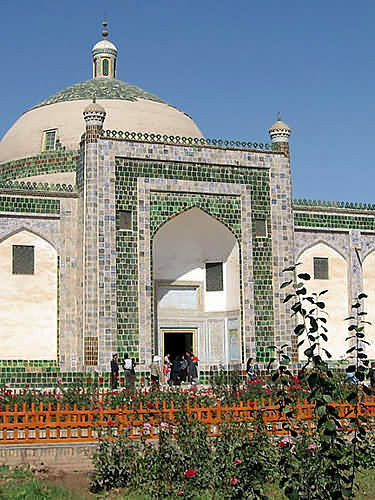 Magnificent religious buildings: Bezeklik Thousand Buddha Caves(in Turpan), Emin Pagoda(in Turpan),Id Kah Mosque (in Kashgar), Abakh Hoja Tomb(in Kashgar). Varied religions not only bring colorful customs but also help shape gorgeous mosques and art caves. Charming Bazzars and what they sell: International Grand Bazaar(in Urumqi) and Sunday Bazaar(in Kashgar) top the list of most interesting Bazzars in Xinjiang. 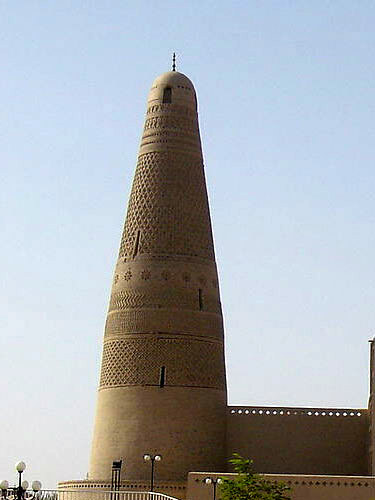 Bazzar is more than the succession of historical form of trade along Silk Road. It’s furthermore a show of unbelievable handicrafts and delicious snacks. Xinjiang opens you to real nature, open space, deserts, plateau lakes, mountain fresh air... all hoping to catch a glimpse of ancient but rapidly changing cultures and customs of Silk Road. Heavenly Lake: The crystal water reflects the snow-topped peaks, fluffy white clouds, and blue sky. This combined with the lush spruce forest covered shores create a truly breath-taking view. 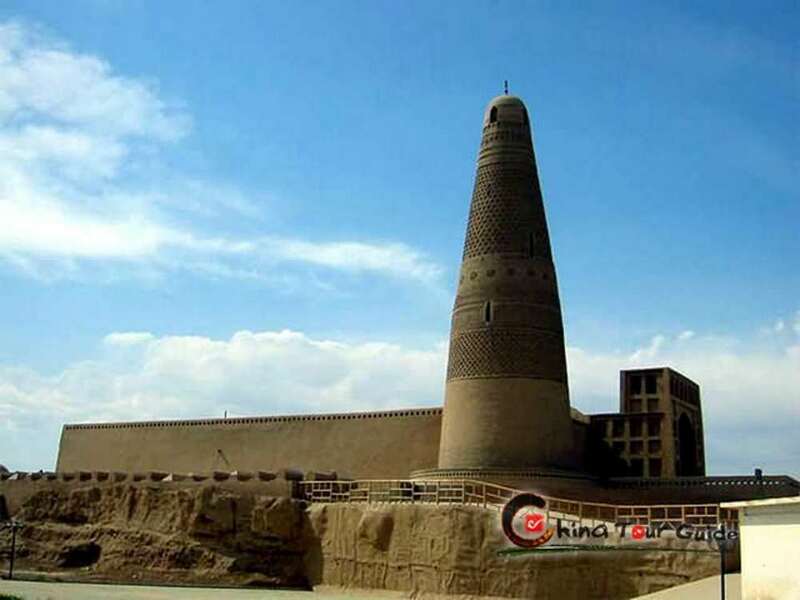 Gaochang Ancient Ruins: Gaochang is the site of an ancient oasis city built on the northern rim of the inhospitable Taklamakan Desert in Xinjiang. A busy trading center, it was a stopping point for merchant traders traveling on the Silk Road. 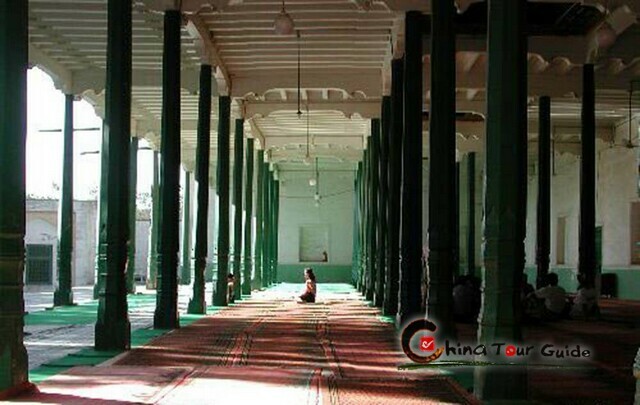 Emin Pagoda: This mixture of Chinese and Islamic features is seen only in minarets in China. These special patterns are also the highlights of the art of the Uygur ethnic group. Abakh Hoja Tomb : People believe that she was deeply loved by the Emperor for her beauty and natural fragrance she smelled. 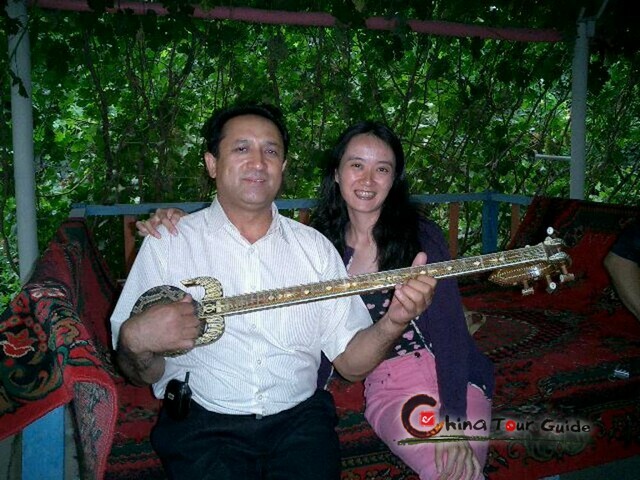 If you want to see more pictures about Xinjiang, please click here. 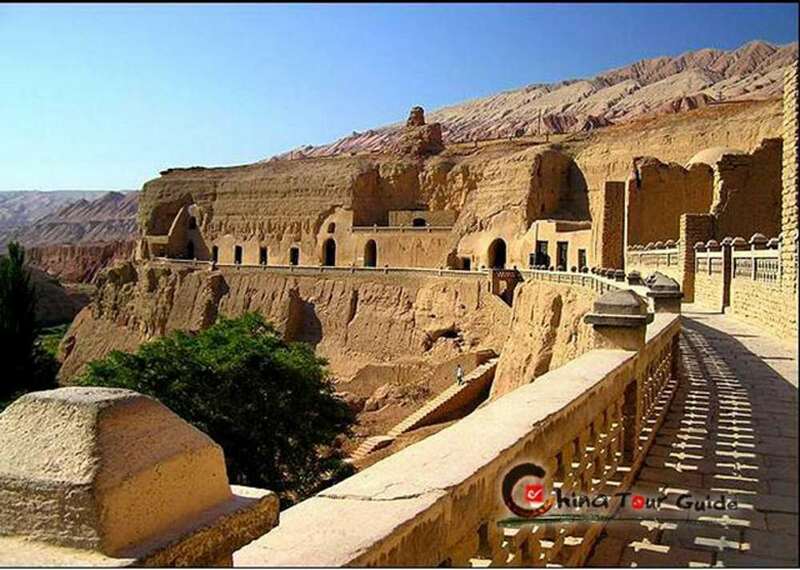 Enjoy strong mood of nostalgia in the two biggest ruins in Xinjiang, Jiaohe and Gaochang Ancient Ruins, view well-protected historical architecture like Emin Pagoda and Karez, taste the cute Turpan traditional trade form Bazaar and gorgeous natural landscape of the Flaming Mountain. 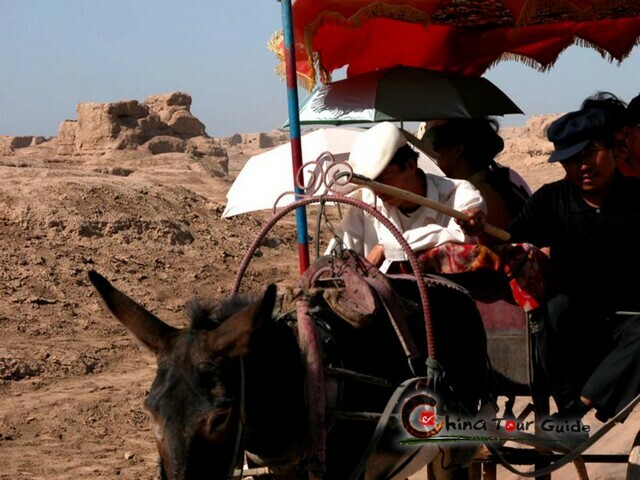 A comprehensive tour where varied sightseeing of Turpan ancient ruins(Jiaohe and Gaochang Ancient Ruins), landmark architecture(Emin Pagoda), religious spots(Bezeklik Thousand Buddha Caves, Tuyuq Valley Buddha Caves) and Turpan customs(Mazha Ancient Uygur Village and local Bazaar) are rolled into one. 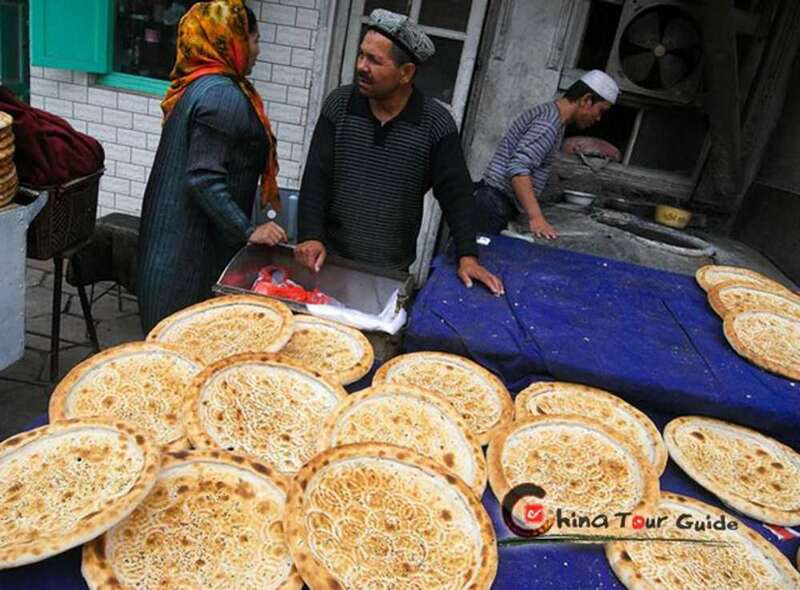 A tour that brings you hand in hand with the thrilling daily life of Kashgar, Muslim architectural art in both commonplace Kashgar houses and holy mosque and the grand view of natural landscape there. 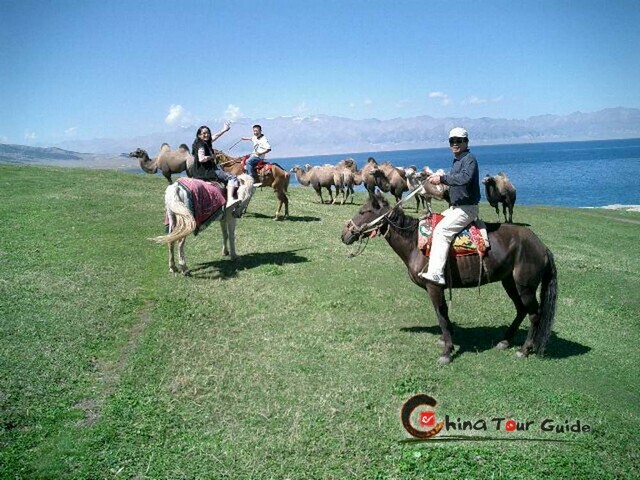 A tour in which you can feast exotic Kashgar twilight and night, bump into interesting Kashgar daily life and gorgeous architecture and feel deeply amazed by the beautiful natural landscape. If you have more interest in local custom than natural landscape, the tour is particularly right for you. 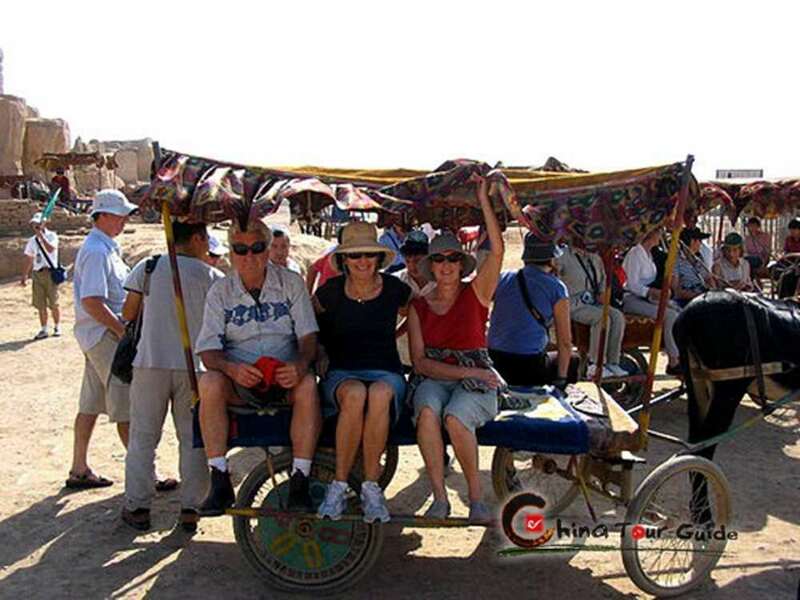 A tour to savor the natural landscape of Kashgar, have fun with the folks that live happily in unpolluted Kashgar and get close to the ancient architecture filled with Kashgar legend and religious glamour. Simply in 5 days you can hold the majority of architectural and natural miracles in Kashgar and Turpan tight! You will be in a world of Northwest legend, daily breath and pure scenery for sure! A tour that opens you to the spectacular landscape of the two famed cities, Urumqi and Turpan in Northwest China, the lovely lifestyle of the locals and the amazing architectural and religious treasure the history grants you. A tour that unveils most valuable parts of Northwest China to you. You will be exposed to several famous lakes in Western desert, witnessing the great ruins of significant historical cities and Buddha art show in mysterious caves. Moreover, you will hold the lifestyle of the locals at sight. Cycling around the triangle area of Xinjiang, composed of Kashgar, Turpan and Urumqi, is nothing short of travelling through a magical time tunnel. You'll come across grant ancient city ruins, ever-standing pagodas and tranquil Uygur villages hidden inside valleys.